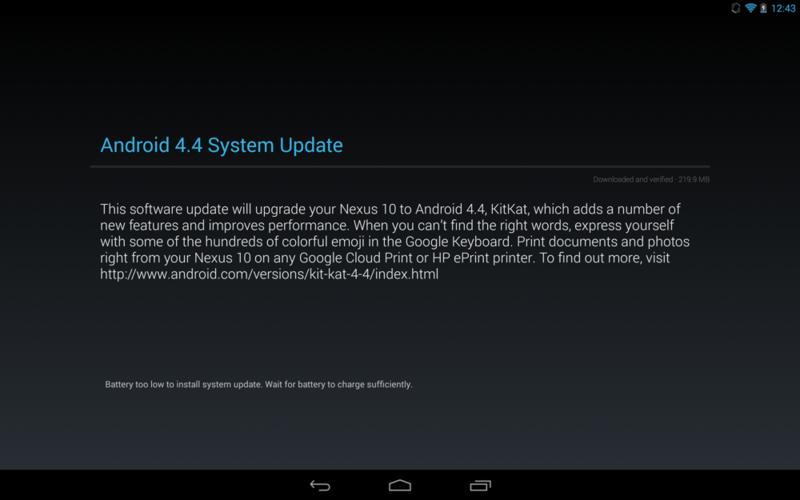 To round out our coverage of the official Android 4.4 (KRT16S) updates for the Nexus line, we’ve now got Nexus 10 files for you. Should your device not have received the device over-the-air, you can always sideload it. With that said, I just turned mine on for the first time in quite a while and it automatically pulled the update. I’d say we are pretty close to a full rollout. To check, head into Setttings>About tablet>System updates.